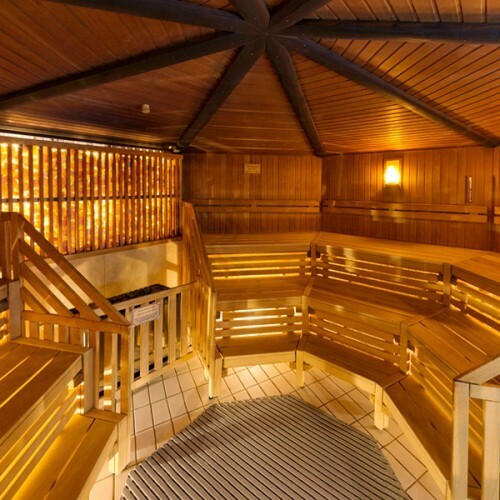 Large sauna area covering over 1,300 m2. 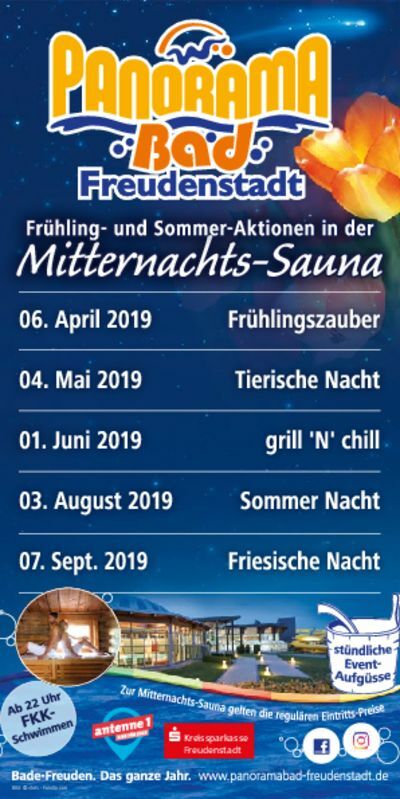 Five saunas – a bio-sauna and a spacious sauna with convenient resting spaces inside, as well as a log cabin sauna and a KELO log cabin sauna in the outdoor area. There is plenty of space both inside and outside, along with cosy nooks where you can wrap up and relax – or enjoy the heat of the summer sun. The attractive foot-bathing pool is ideal for a little chat. The sauna bistro offers a wide variety of refreshments and light snacks. The outdoor pool is equipped with massage jets and a dousing shower. 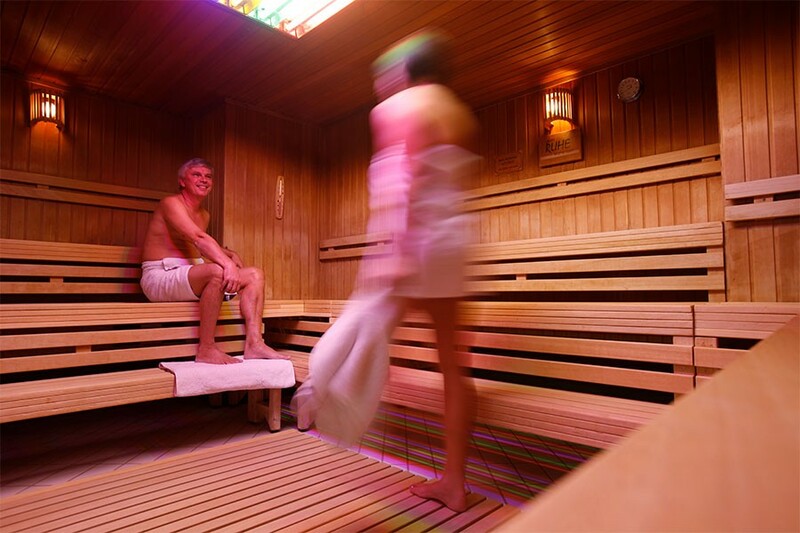 A massage treatment is the perfect way to complete your sauna visit – book an appointment! 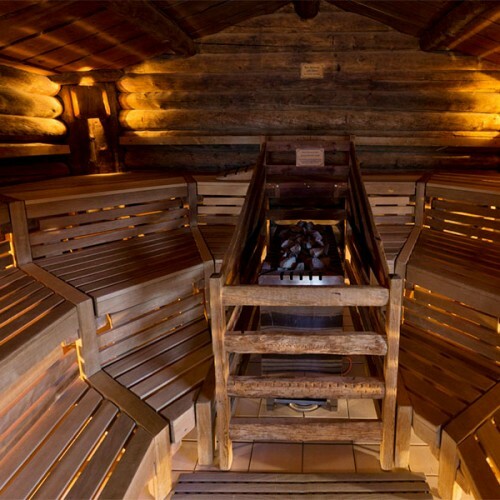 At 90 °C, the traditional sauna, with or without hot stones and infusions, is an enjoyable experience. 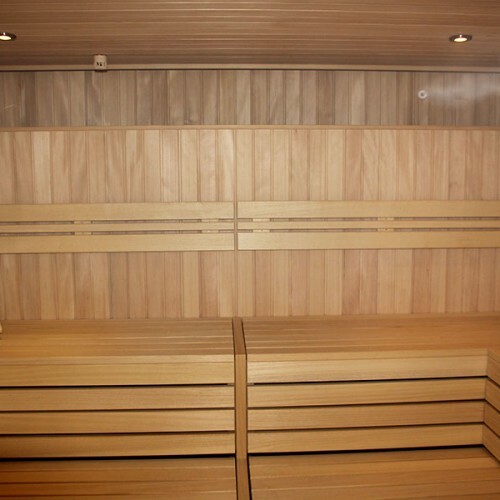 The sauna comfortably accommodates up to 20 people. 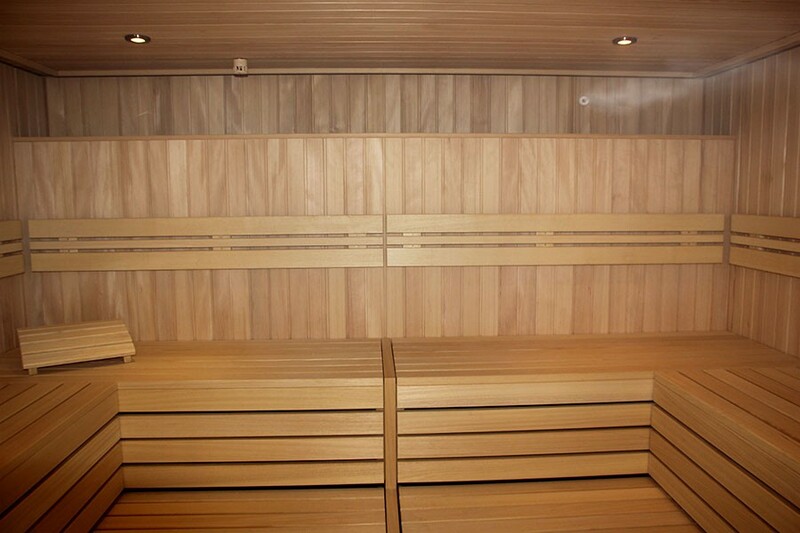 The saunarium provides all the health-giving benefits of a sauna at moderate temperatures of up to 60 °C. 25-30 people can enjoy the saunarium at the same time. 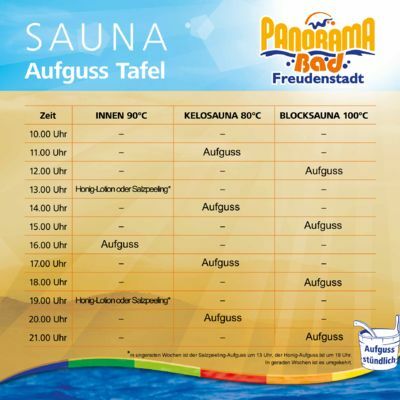 In the sea-climate Sauna (60 °C) you can breathe in salty sea-air. Decreases the symptoms of asthma and allergy. 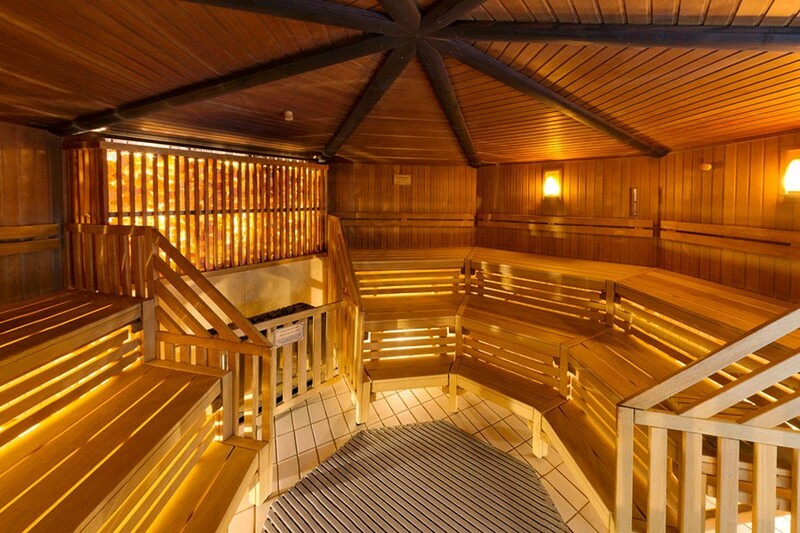 You’ll work up quite a sweat in our Finnish pinewood sauna. 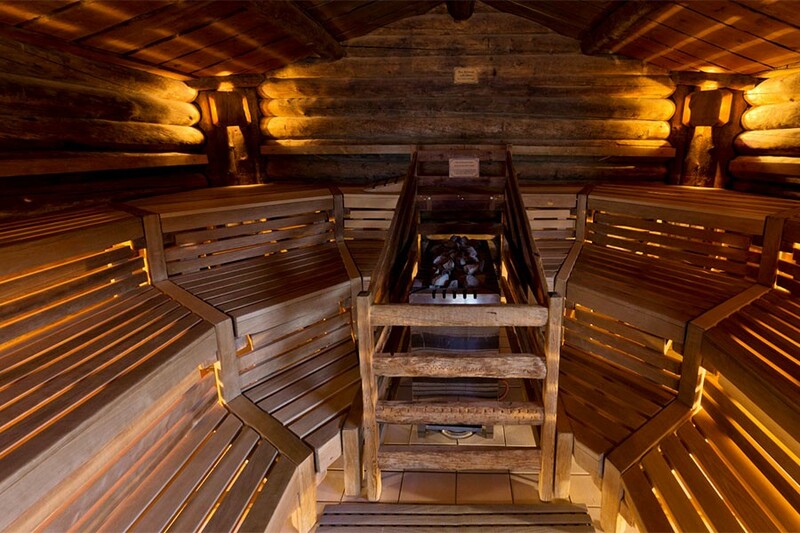 At 80 °C, the Kelo log cabin sauna provides a pleasant temperature for up to 25 people. 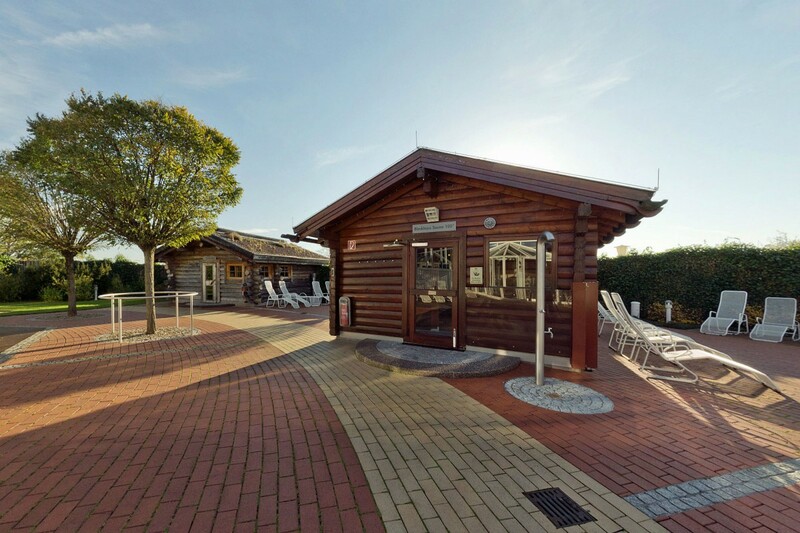 Our log cabin with temperatures of up to 100 °C is perfect for people who like it really hot. 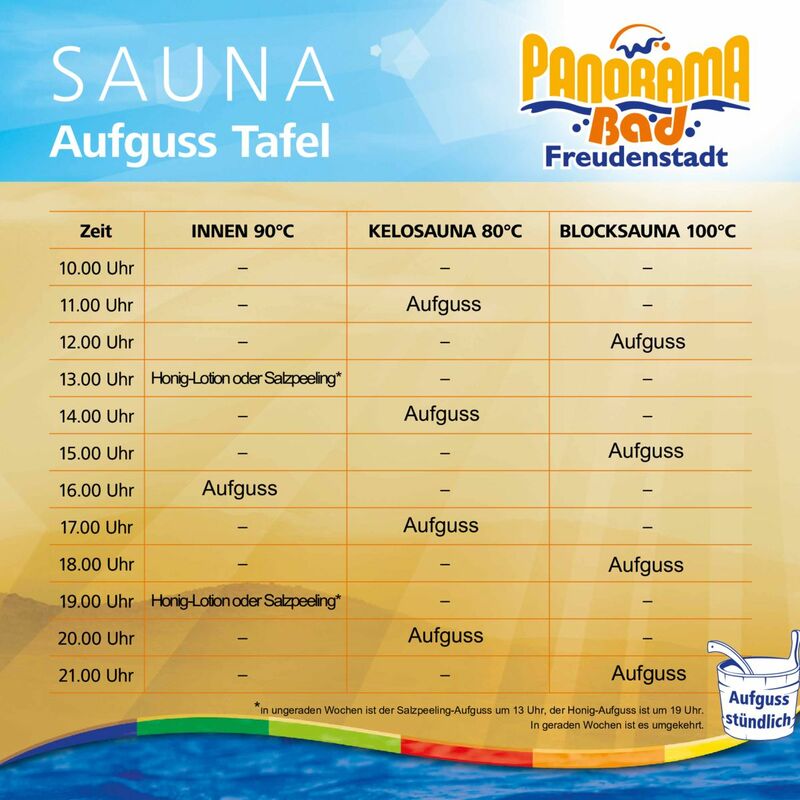 There´s no entry with swimwear into all five saunas! 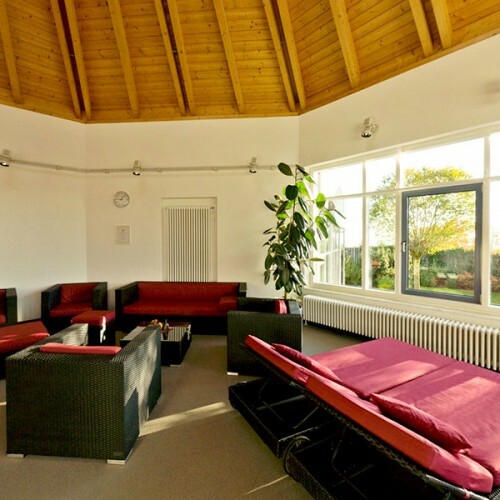 There are plenty of facilities for cooling off in the indoor area: powerful waterfall showers, a corner shower, a Kneipp hose and a 4 m2 plunge pool. You can also take a cold shower outside near the log cabin sauna. 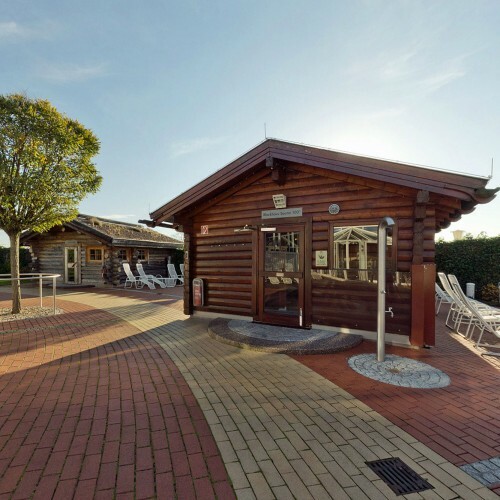 The outdoor pool, well-equipped with massage jets and a hydro-massage shower, provides an opportunity to swim a few strokes between sauna sessions. 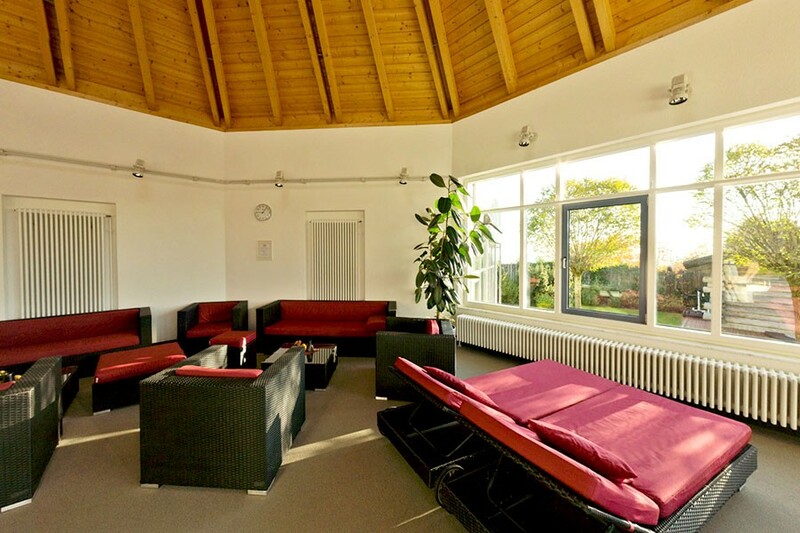 Take time out for yourself in the gallery whilst enjoying views of the outdoor area from the comfort of your lounger. How about a freshly squeezed orange juice at our sauna bistro between sauna sessions? 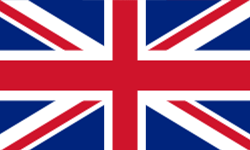 Our bistro also stocks a large selection of other drinks and various light snacks for your enjoyment.